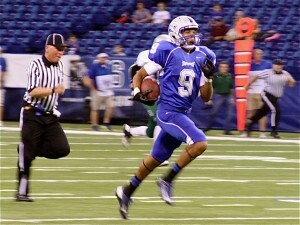 ESPN reports UMass has offered to Cameron Polk, a 6-2 175 pound WR from Fishers, IN. This article has more on Polk. Also drawing interest from most of the Big Ten Schools. I've blogged about Johnny Thomas, a 5-11 195 pound Peabody native twice before. This article has more details about Thomas' senior season. He's run for 1,744 yards and 15 TD's. Thomas' 2, 879 yards places him second in St. John's prep history behind some guy named Chris Zardas. Harry Plumer of MassLive looks at the UMass defensive line and says the Minutemen will have to replace the interior of the unit for 2013. Jets OL coach Dave Guglielmo is apparently not happy having Vlad Ducasse rotating into the Jets starting lineup. Josh Samuda has played in all eleven of the Dolphins games this year. James Ihedigbo says beating the Steelers once "Doesn't mean jack". CBS Sports says the stable MAC had a banner year. If NIU wins tonight's MAC Championship game, the Huskies can dream of the Orange Bowl. Details on tonight's MAC Championship game. A MAC team in the BCS could mean an $8 million boost for the league. Lindy Sports says the quiet MAC is rising up. Carver High School Band was excited to be part of UMass' Band Day at Gillette. Perry McIntyre, Darren Thellen, and Colter Johnson made the 1st, 2nd, and third string All-MAC team respectively. McIntyre finished with 61 UT 74 AT 132 TT 7.5-24 TFL 3.0-14 SACKS 4 BU 4 PD. Thellen finished 2nd on the team in defensive statistics: 45 UT 34 AT 79 TT 1.0-2 TFL 3-84 INT 3 BU 6 PD 1 FF. UMass finished second-to-last in the All-MAC standings. We were better than hapless Akron and close to Buffalo and Miami (Ohio). MAC Report Online covers the entire All-MAC slate. Joe Colton was awarded a scholarship. Colton finished 6th in defensive statistics: 11-2 GP-GS 27 UT 22 AT 49 TT 1.0-2 TFL 1-16 INT 2 PU 2 PD 2 FF 1 BLKD KICK. MassLive also has a story about Colton and his efforts for the Minutemen. Harry Plumer of MassLive looks at the status of the Minutemen's linebacking corps and says the question is in the middle. Philly.com says when Temple and the other new Big East basketball schools become full members of the Big East this July, they will have the numbers to vote for Big East basketball to dissolve if they want to. The Washington Post says UConn got left behind again. 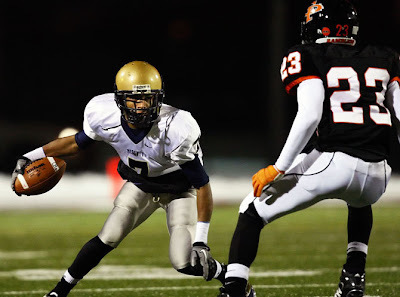 Rivals.com reports UMass is interested in Jonathan Dublin, a 5-11 155 pound WR from Tampa, FL. Also drawing interest from Florida Atlantic, Florida International and Northern Illinois. 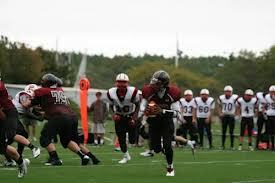 Harry Plumer of Masslive has a post-season wrap-up of the UMass secondary. 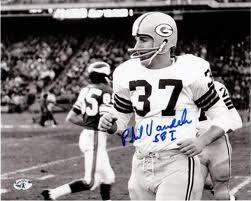 Coach Molnar is quoted as looking to bring in one safety and two corners in 2013 recruiting. CBS Sports Boston says Coach Molnar and the UMass players are already prepping for the 2013 season. UMass TE Rob Blanchflower was named Co-Athlete-of-the-week for his 10 catch 100-yard effort against CMU. Cleveland.com looks at post season honors in the MAC. Utah State will be one MAC bowl opponent, in the Famous Idaho Potato Bowl. Tulane and East Carolina join the Big East. Shortly I'm going start a series on what went right and wrong in 2012 as well as looking at recruiting needs. There's a lot to cover and talk about. Matty V has an article on Coach Molnar planning for the future. The article talks about recruiting and transfers in and out. Stephen Sellner of the UMass Daily Collegian says don't judge UMass football future by this season. Fox Sports previews Friday's MAC Conference Championship game between Kent State and NIU. More on the MAC Championship game. WBIR has this week's MAC Conference news and notes. Hustle Belt has this week's MAC power ratings. The writer says UMass had CMU fans worried until we threw two INT's in three offensive plays. Central Michigan's Zurlon Tipton was named MAC West Division Player-of-the-Week for his 175 yard 4 TD performance against UMass. 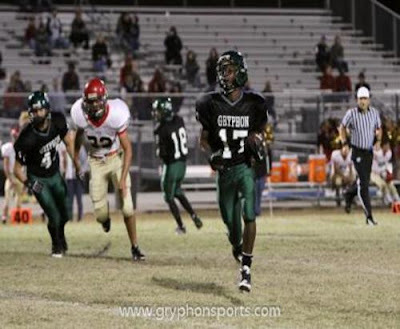 Tipton averaged 7.2 yards/carry against the Minutemen. BC Interruption has possible names for the Eagles new coach. Eagle in Atlanta looks at five coaches from the MAC as possible fits for Boston College. Three Boston College verbals remain committed to the Eagles. One verbal will wait and see. NJ.com says it was a tough week for the Big East Commissioner. BTW, the MAC finished ahead of the Big East in power rankings. Rivals.com says UMass is interested in Noah Robinson, a 6-4 215 pound OLB from Worcester, MA. Robinson had an excellent 2012 season for Doherty. Also drawing interest from UConn, BC, Tennessee, Purdue and Penn State. Kent State and Northern Illinois were #18 and #19 in the latest AP Bowl. All this week's polls here. In our first year of FBS football UMass played four teams receiving votes in the Top-25 lists: Michigan, Vanderbilt, Northern Illinois and Ball State. Kent State could be one win from playing in a BCS Bowl. Akron Sports Now has a regular season MAC wrap-up. The News-Herald says the MAC title game could have BCS implications. Will Central Michigan get a bowl game by default? The MAC in a BCS Bowl? Coping with sudden MAC/BCS expectations. Boston College fired Coach Coach Spaziani and mentions Mark Whipple as a possible candidate. I was thinking UMass might make a run at some of the Eagles verbals, but BC has few Northeast recruits in their 2013 class. Victor Cruz caught three balls for thirty-six yards and a TD last night against the Packers. The Boston Herald says UMass football set a sturdy foundation. The Herald reports UMass played 30 freshmen or redshirt freshmen and 17 started at various times. The experience should help in future years. Harry Plumer of MassLive reports several Minutemen players had career days against CMU. Rob Blancheflower had 10 catches for 100 yards. Jovan Santos-Knox and Khary Bailey-Smith both set career highs in tackles. Perry McIntyre entered the UMass record book with career totals of 354 TT and 204 AT. Colter Johnson's 43.8 yards/punt was good for 2nd place on the all-time single season record book. Matt Sussman of Hustle Belt has a recap of Friday's league games. If NIU wins another MAC championship, could the Huskies get assigned a non tie-in bowl? UMass was once again competitive for two quarters and faded in the second half after a raft of interceptions. If you were not at the game, you may have missed the size differential between CMU and the UMass defense. Those guys were huge! UMass defense---Central Michigan Offense. Coach Molnar still has a lot of recruiting to do. UMass Athletic Dept website write-up. Matty V. has UMass loses in final game. A.J. Doyle "OK" in his first start. MassLive says UMass closes with a loss to Central Michigan. The UMass Daily Collegian said it was a disappointing end to a difficult season. MassLive said Minutemen seniors had an emotional goodbye. MassLive says if the Big East comes calling, UMass should just say no. The last game of UMass' inaugural season will be played today against the Chippewas. Why isn't that politically incorrect? That's got to be the last Indian nickname in the football universe. The weather looks to be good. Sunny by afternoon and in the mid-50's. It would be nice to get some good offensive line play today and make this a UMass win. CMU needs this game to be in consideration for a bowl. Winning would give the Minutemen something to build on during the off season. I'll be there as usual. Hope a lot of UMass fans will avoid the Black Friday madness and come to cheer for the Minutemen. Matty V. has a story about Darren Thellen and the 15 other seniors who will be playing their last game for the Minutemen today. The seniors are Darren Thellen, D.J. Adeoba, Tim Brandt , Chris Burns, Julian Colarusso, Michael Cox, Perry McIntyre, Stephane Milhim, Quinton Sales, Ian Shultis, Nick Speller, Chaz Thompson, Deion Walker, Alan Williams and Hafis Williams. MassLive.com has the half-payment status of UMass in 2011 and low attendance will cause a financial shortfall this year. Our "provisional" FBS status allows teams to play us less that the regular guarantees given to FBS teams. This will be the only year that happens. Revenue should be up in 2013 and following years. Boston.com has UMass hoping for an end of 2012 season win. 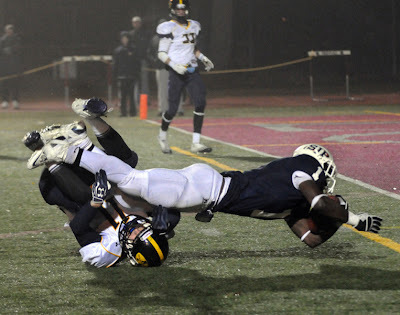 The Herald,com says Perry McIntyre and the Minutemen tackle the last game of the 2012 season. Central Michigan Life says CMU needs this game to be bowl eligible. The Moring Sun says CMU's bowl eligibility is on the line. NBC Sports says the Big East may vote to disband. The Associated Press says UConn or Louisville may be the next to leave. 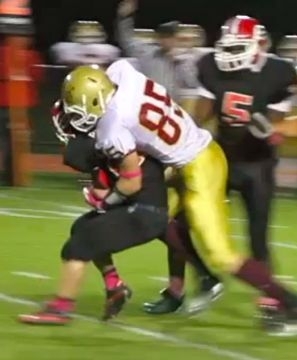 I've blogged about UMass 2013 verbal Sam Zeff two times before. He's a 6-7 280 pound OL from Montclair HS in New Jersey. 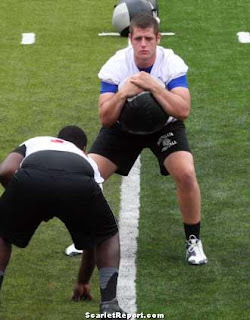 NJ.com describes Zeff as "one of the best linemen in the state". 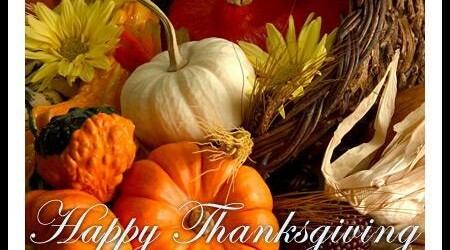 Hope all UMass friends and family have a great Thanksgiving today. I have a lot to be thankful for. I've truly enjoyed running the blog and meeting all of you. Matty V. reports A.J. Doyle will start against Central Michigan tomorrow. Coach Molnar states it will be the start of an open QB competition this spring. Harry Plumer of MassLive also covers Doyle's start. The Enterprise News features Darren Thellin's last game as a Minutemen. 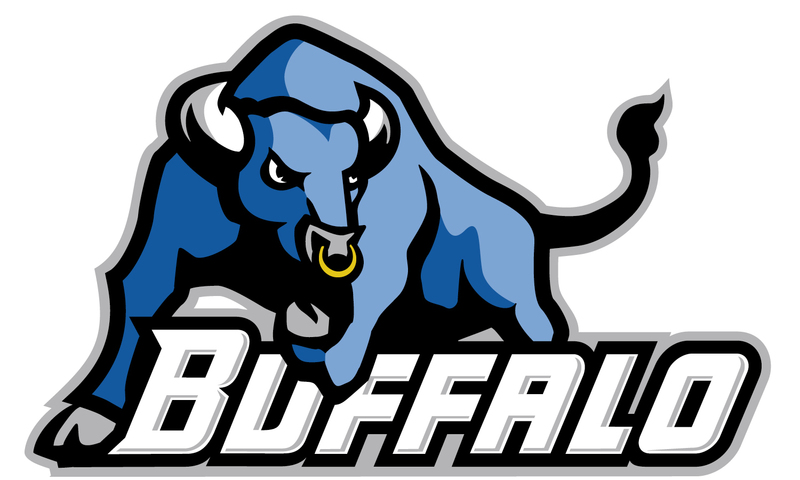 After his win at UMass last week the University of Buffalo extended the contract of Bull's HC Jeff Quinn. That caused quite a stir among Buffalo fans. The Buffalo News has more on the effect of the new BCS format on the MAC. Matty V. says UMass is motivated to send the seniors out with a win. Matty also reports UMass could have a Big East decision in its future. Matty points out, as did Mike Paquette in the comments yesterday, if Cincinnati and Louisville leave the Big East, the MAC would be a better football conference. Navy and Temple would be attractive opponents for UMass football, but the rest of the Big East would feature high travel costs and not much name recognition. The revised A10 would also be a better hoops league if the Catholic basketball schools split from the Big East. The Times-Herald looks at Rutgers leaving the Big East. Speaking of Mike Paquette he has a new essay over at Hustle Belt on UMass is learning to win. Harry Plumer of MassLive reports UMass will face another physical running back in Central Michigan's Zurlon Tipton. Tipton's CM bio here. Besides having a great name, Tipton is 6-1 219. CBS Boston has UMass gearing up for Friday's game with Central Michigan. CMU has its game notes for UMass up. The Cleveland Plain Dealer interviews the MAC's Jon Steinbrecher on the new BCS bowl arrangement. Relevant quote:"I can't go into specific numbers, but it will be a lot more revenue for our conference and a lot more revenue for our member institutions. I'll just leave it at it's very, very significant. It's night and day." Obituary blames man's death on the play of the Kansas City Chiefs. I've blogged about Jonathan Thomas before. 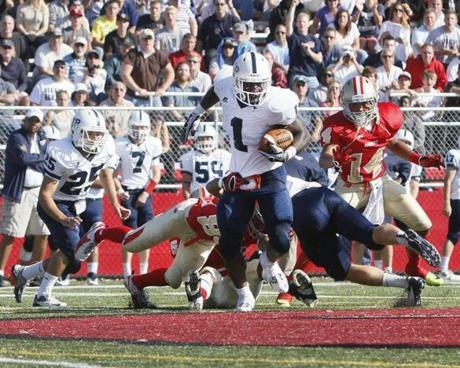 The 5-11 195 pound running back from St. John's Prep has been named a finalist in ESPN Boston "Mr. Football" award. Besides the UMass offer, Penn State, BC and Virginia are showing interest. Matty V. says Deion Walker and Hafis Williams are still rooting for Notre Dame. Harry Plumer notes that Central Michigan could be bowl eligible and has five teams the Chippewas are rooting against. Buffalo LB Khalil Mack was named MAC Defensive Player-of-the-Week after he had a career day against UMass Saturday. Central Michigan's Cody Wilson has been named a finalist for the Wuerrfel Trophy. Home page for the Wuerrful Trophy here. Sports Chat place thinks you should take UMass and the points. Keepers College football rankings has the Chippewas by 9.00. ToledoBlade.com says the Rockets and Bowling Green set up to go bowling. You've probably heard by now, but Maryland is leaving the ACC for the Big Ten. That will probably start up more conference realignments. I always believed that if Coach Molnar can make us into a winner, UMass would have a shot at joining the Big East. Now that the Big East has been gutted, that looks less attractive. Lots of MAC teams in ESPN's Week#12 Bowl predictions. ESPN reports UMass has offered to Miles Wright a 6-4 200 pound QB from Tabor Academy. Also drawing interest from Boston College, Virginia, Vanderbilt, West Virginia, UNH and UConn. The Boston Herald says it was a tale of two halves for the Minutemen. The UMass Daily Collegian said a blocked punt swung the momentum against UMass. The University of Buffalo Spectrum said it was three up, three down for the Bulls. Harry Plumer of MassLive says offensive line struggles doomed the Minutemen. Special teams continued to be a bright spot for UMass as Colter Johnson averaged 50.6 yards a punt and Blake Lucas was 2-for-2 in field goals. Central Michigan's report card for week #12. Momentum for CMU---what a concept. Central Michigan knocked Miami (Ohio) out of a bowl bid Saturday. Kent State and Northern Illinois make the AP Top-25 poll this week. Vanderbilt also is getting votes. The FCS playoff field was announced Saturday. UNH received an at-large bid despite being smoked by Towson 64-35 in their season final game. I write these comments before I read the media articles on the game. I'm trying to give my own impressions of what went on. I was listening to the Boston College-VA Tech feed on the way down to Gillette. The BC announcers were marveling on how much offensive talent the Hokies had lost to graduation this year. It was so bad that VA Tech was forced to start a true freshman for the first time in seven years. You're a better mathematician than I if you can compute the number of true freshmen UMass has started this year. Again the Minutemen defense played well enough to win. They wore down in the fourth quarter, but until then the defense again battled all game. You really can't expect to win games 12-0. The sequence that turned everything around was when Wegzyn threw that INT in the third quarter. The UMass defense responded with an INT of their own, but the offense went 3-and-out followed by the punt block for the touchdown. After that, it was all Buffalo. Beautiful day though. Even after subtracting 3,000 for the bands UMass had over 9,000 for a November game. UMass write-up with note, quotes and box score here. Matty V. says again, UMass was again playing with a makeshift offensive line. That probably explains the running game futility. Boston.com says UMass loses to Buffalo. The Worcester Telegram said UMass collapses. The Buffalo News said Bulls QB Licata leads Buffalo to the win. Results for all the MAC games yesterday. Western Michigan fired HC Bill Cubit. With UMass getting its first win last week, the Minutemen can focus on playing football for the last two games of the season. UMass will have to concentrate today, because Buffalo is not a bad football team. Brandon Oilver, Alex Zordich and Devin Campbell have combined for 1,805 yards rushing. Buffs LB Khalil Mack is a potential NFL draft pick. Courtney Lester was last week's MAC East defensive player-of-the-week. At this stage, Buffalo has more 1-A talent than we do. The Minutemen should have more spring in their step after the victory at Akron. I think the UMass defense will continue to battle again this week. The Minutemen should have their best offensive line combo this year on the field. If the offense can put some points on the board, UMass will have a shot today. It looks as if it's going to be a cool, but sunny and cheerful day. It will also be the 28th Annual Band Day. Hope all UMass fans turn out to support the Minutemen. The Boston Globe features UMass freshmen safeties Khary Bailey-Smith and Joe Colton. The Buffalo News says experience favors Buffalo at UMass. Today's game at Gillette will have special meaning for a local Foxborough family. Harry Plumer says both UMass and Buffalo enter today's game on high notes. MassLive has today's game information, notes and media information. Hopefully, that will allow UMass to run the ball better. The Minutemen only averaged 1.8 yards/carry against Akron and suffered 6 TFL. Buffalo definitively has a better defense than the Zips. Buffalo is third in total defense and seventh in scoring defense in the MAC. Harry Plumer of MassLive has both UMass and Buffalo are coming off high notes. The UMass Daily Collegian says UMass looks to make it two in a row. The Boston Herald says Joe Colton is making his mark at UMass. 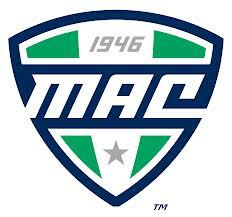 The Columbus Dispatch says the new bowl scheme puts the MAC in the mix. Bowling Green and Kents State meet for all the marbles in the MAC East. Rivals.com reports UMass has offered to Caleb Johnson, a 6-3 215 pound OLB from Northern Lehigh HS in PA. Broke a 1,000 yards rushing on November 3rd. Johnson also has an offer from Pitt as well as a number of FCS schools. The weather for Saturday's game appears to be good. It's supposed to be sunny with highs around 46. November games are more cheerful with the sun shining! Plus it's going to be Band Day. UMass has it's game notes for Buffalo up. Harry Plumer of MassLive has a story about Coach Molnar and son are familiar with Buffalo Coach Jeff Quinn. Quinn's Buffalo bio here. CBS Sports says the MAC is showing it belongs with the big boys of college football. Northern Illinois beat Toledo last night to punch its ticket to their third straight MAC championship game. Ball State had the last five scores of last night's game and defeated Ohio 52-27. MAC Report Online looks at the league in week #11. USA Today says college football scoring is on a record pace. Victor Cruz leads in the NFL WR Pro Bowl voting. Sports Chat Place discusses the Bulls 10.5 point spread against the Minutemen. USA Today rankings. We're up to #121! This story is about Khail Mack, Buffalo's 6-3 245 record setting OLB. Video is Buffalo's press conference for the UMass game. ESPN Chicago says Northern Illinois HC Dave Doeren is making a name for himself. Tonight's NIU-Toledo should be for the MAC west title. Temple's move to the Big East is not going to help their travel costs as they have been placed in the West Division along with Boise State, Houston, Memphis, San Diego State and SMU. Victor Cruz takes a beating as his numbers decline. Nice human interest story about high school football players displaced by hurricane Sandy. Matty V. reports UMass added another first this week as Colter Johnson became the first Minuteman to gain a weekly honor from the MAC. He was the league Special Teams Player-of-the-Week. 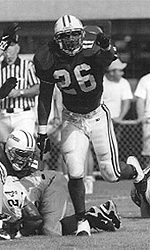 UMass website article on Johnson. Harry Plumer of MassLive says UMass gets back to work. He also has five great College Football mustaches. CBS Sports Boston reports Coach Molnar felt it was a small step forward. The Cleveland Plain Dealer says mistakes hurt the Zips . Football Scoop adds a congratulations to Coach Molnar. Hustle Belt looks at MAC head coaches on the hot seat. They also have the week's MAC power rankings with the Minutemen at #11. ESPN has this week's Bowl projections, which contains a lot of MAC teams (and a bunch of teams on the UMass schedule). The Cleveland Plain Dealer says the top MAC teams are still undervalued. Kent State cracks the AP Top-25 poll. NIU and Toledo get votes. Keepers College football rankings has Buffalo over the Minutemen by 15+. Vegas has the Bulls by 11. ESPN reports that there will now be six bowls in the playoff format. Matty V. has UMass gets a lift and a win courtesy of Joe Colton. Matty points out that three of the four INT's against the Zips were by freshmen: Colton, Radall Jette, Khary Bailey-Smith. Freshmen LB's Kassan Messiah and Jovan Santos-Knox at also starting. The UMass Daily Collegian has UMass earns first FBS win. Akron Sports Now recaps Week #11 in the MAC. The Examiner.com gives the biggest upsets of Week #11 and includes UMass (who was a 16.5 point underdog). The MAC Report Online said UMass capitalized on Zip turnovers. BTW, next week's opponent Buffalo forced five turnovers of their own against Western Michigan. CBS Sports says it looks like the five "Mid Major" football conferences (now including the Big East) will get an increase in playoff revenue in 2014. Victor Cruz dropped a sure TD pass in the the Giants upset loss to Cincinnati. ESPN New York says Victor has been taken out of the Giants offense. Jeromy Miles advised his teammates to be physical with Cruz. "I don’t think I’ve ever been kissed by so many men before.” -- Coach Molnar, after yesterday's game. Maybe not up there with Churchill's quote, but the Minutemen broke through for their first MAC win and their first win over a FBS team since we defeated Ball State 26-10 on September 1st, 1984 (I was there). The Minutemen defense was tremendous all day. The defense forced a fumble and had four INT's. The Zips went 4-12 in third down situations and 0-1 on fourth. The UMass defense has battled all year. Except for teams who have Heisman-quality dual threat QB's, the defense has been very creditable. That sometimes did not show up in the score. Against Vanderbilt, a team with "SEC speed" the defense lost 35-7 and one of those scores was a short field. When UMass rushed four linemen, the Minutemen got pressure all day. Walk-on Joe Colton was a force with a blocked punt and an INT. Special teams. It seems a long time ago, but remember we were at or near the bottom of the CAA in kicking and punting in 2011. We lost to New Hampshire on two missed extra points and a missed field goal. Blake Lucas was flawless and Colter Johnson was a major weapon in yesterday's win. The offense line didn't dominate, but neither were they a liability. I was watching the BC-Notre Dame game last night and the Irish OL had played every game in the season so far. Hopefully, the Minutemen's offense line will not be shuffled around and continue to take it up a notch. The offense survived some really mediocre QB play. Liam Coen would have beat the Zips 45-14. QB is one position UMass has not had a lot of improvement. Matty V. has UMass gets first FBS win. 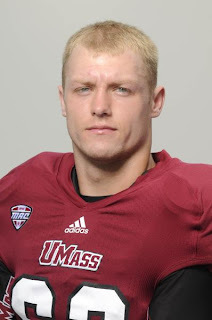 Harry Plumer of MassLive has UMass gets first FBS win with 22-14 victory over Akron. Boston.com said UMass earns its first MAC win. USA Today says the MAC has made a name for itself. NIU awaits its bowl bid. Next week's opponent Buffalo won their second in a row. The Buffalo News says (last paragraph) the Buffs should get their third win over lowly UMass next week. It's been a hard year for UMass fans and the team. Everyone knew that a 5-6 FCS team was going to have a rough time in 2012 season. 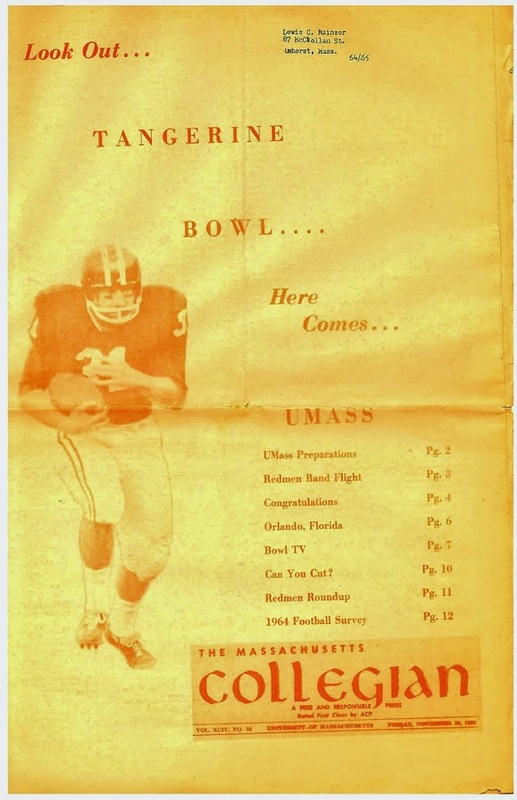 In fact, the Minutemen have probably played six bowl-level teams thus far. But losing wears on you and I thought that the UMass morale cracked somewhat in the last two games. The Minutemen desperately need something to go right. UMass should have a chance to win one of the final three games. We need to get some positive momentum. One thing that would do it is for the Minutemen offense to show some life. Hopefully, the offensive line will not be shuffled around for these last three games and UMass can get a running game going. It would be good if one of our QB's could show some spark as well. -- Winston Churchill, October 29, 1941 to the students of Harrow School. Matty V. has UMass and Akron battle for their first MAC victory. Harry Plumer of MassLive has UMass and Akron look forward to their first win. The Cleveland Palin Dealer says the Zips are looking for their first conference win. SB Nation Boston says the Zips and the Minutemen are still looking for their first win in the conference. Hustle Belt previews the conference slate this weekend. In New England football, Boston College gets #4 Notre Dame. UConn hung on to win their first Big East game. No matter how bad things get, probably no team has a relationship with its fans as poisonous as do the Philadelphia Eagles. 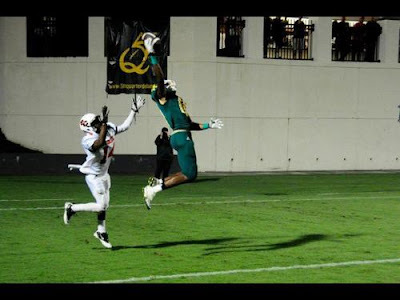 Rivals reports UMass has offered to Dantwaun O'Neal, a 6-3 193 pound WR from Deland, FL. Taking a visit to Georgia Tech. O'Neal had nine receptions for 220 yards in one game earlier this year. Sports Express says he's a name to watch. O'Neal has offers from Florida International, Georgia Tech, Memphis, Miami (Ohio), Middle Tennessee State and South Alabama as well as several FCS schools. UMass game notes for the Akron game. Terry Bowden's weekly press conference (video). Matty V. has a story about UMass Safety Ed St Vil returning to the secondary. St Vil's UMass bio. Boton.com says winless UMass is scraping bottom. But read the last sentence of the article. Harry Plumer has week #11 of UMass' opponent campus report. Plumer also has the two-deep for Saturday's game. Mike Paquette of Hustle Belt wonders what the Minutemen are doing wrong. The MAC conference West comes down to Toledo and Northern Illinois. Matty V. looks at the UMass basketball OOC schedule, which includes four MAC conference games. Two are pretty good teams and two aren't . The Wall Street Journal says the Giants are sending Victor Cruz --- less long. Ryan Clark said Cruz backed off after absorbing a big hit. Victor Cruz and Jeromy Miles get reunited this Sunday. Rivals.com reports UMass has offered to Brian Lemelle, 5-11 175 pound WR from Harrisburg, PA. This article from June features him. Lemelle has 13 offers including Boston College and Syracuse from the East and Bowling Green from the MAC. Matty V. has a story on news and roster up dates. Safety Christian Burt is no longer practicing with the team because of academic issues. He's a RS junior so he could return, if academically qualified, for his senior season. Matty also mentions that John Griffin has been signed to the Jets. Jets news story about Griffin here. Griffin's Jets bio page here. The UMass Daily Collegian has winless UMass faces struggling Akron. Harry Plumer of MassLive says Coach Molnar's battles with Akron go back a long way. Northern Star breaks down the MAC. Northern Illinois-Toledo will be on ESPN2. A couple of weeks ago, people were talking Ohio deserved a BCS bid. They lost for the second time against Bowling Green last night. Victor Cruz's Giants teammates don't want to hear about fashion. News Day says DB's are getting physical with Victor. Harry Plumer has UMass adjusting to colder weather. CBS Boston quotes Coach Molnar saying "Nothing is easy right now." Also selected was Phil Vandersea (NFL Bio). The MAC conference rises to #4 on CBS' conference rankings. Relevant quote from the article:"It is very possible that, at the end of the year, there could be as many -- if not more -- ranked teams from the MAC as there are from the ACC, Big Ten or Big East." The MAC Report Online looks at week #11 in the conference.